Possibility to spend the night at Amman airport (AMM), if open 24 hours. Services available, places to rest (free resting zones), or look for the list of nearby hotels and vip lounges..
Amman airport is open 24 hours a day, so you will be able to spend the night inside the enclosure if you have an early flight or if your flight is delayed. Where to rest: The boarding area has the best options, with some seats with no armrests and quieter places. Lights are generally very bright, so have a sleeping mask ready. There are also a couple of VIP lounges that open around the clock, but the maximum stay is 3 hours. 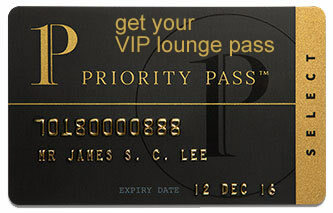 SEE VIP LOUNGES 5 minutes away from the terminal you can find a hotel. Baggage: There are no luggage storage offices, so you will have to keep your bags with you until check-in. Eating and drinking: Eateries are available throughout the night, mostly in the Departures Hall. Restrooms: Showers only inside the VIP lounges. Wi-Fi: The service is free and unlimited. Other services available around the clock: Banks, ATMs, currency exchange bureaus, convenience stores, pharmacies, spa. The closest option is the Amman Airport Hotel (Tel +962 6445 1000), while more accommodations are available in the city centre. In the baggage reclaim area there are reservation counters. Rumman Hotel (Tel +962 5325 2555), Mariam Hotel (Tel +962 5325 1529), Grand Hotel Madaba (Tel +962 5324 0403), Salome Hotel (Tel +962 5324 8606), Delilah Hotel (Tel +962 5324 0060), Mosaic City Hotel (Tel +962 5325 1313), Black Iris Hotel (Tel +962 5325 0171), Madaba 1880 Hotel (Tel +962 5325 3250), Moab Land Hotel (Tel +962 790 414 049).